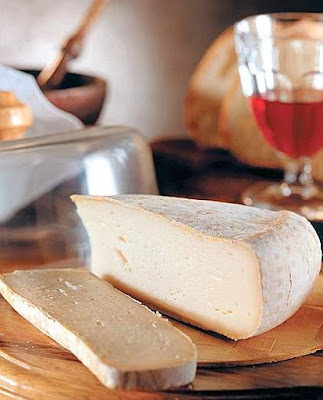 The Gressoney Toma cheese is one of the best italian table cheese, produced with ancient traditional sistem exclusively in a precise area, exactly in the Lys Valley, in Valle d'Aosta region, which main center is Gressoney. It is a semi-fat cheese, obtained using cow's milk partially skimmed and since it is a mountain pasture cheese, it is naturally produced only in the summer months. The seasoning of this unique cheese is done for about 6 months on wooden boards in damp cellars or caves. But the toma cheese lands itself well to aging: perfectly intact even after three years, its flavour are at their best after 18/24 months. The result is a smooth crust cheese, light brown and of soft dough, of a pale yellow color, and with small holes. .The Gressoney Toma cheese has become a Slow Food Presidium, supported by the region of Valle d'Aosta in order to safeguard and promote the long seasoning production technique, since, for logistical reasons and convenience, has become accustomed to sell it fresh, despite its taste is best after a long seasoning. This traditional italian cheese is great served after a meal, accompained by sliced homemade bread, perfect when paired with the many aostan salami.